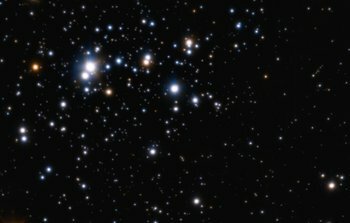 7 September 2016: Using ESO’s Very Large Telescope and other telescopes a fossilised remnant of the early Milky Way harbouring stars of hugely different ages has been revealed by an international team of astronomers. 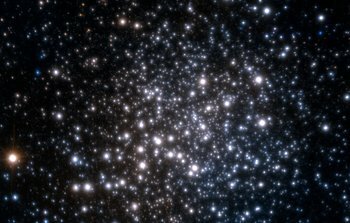 This stellar system resembles a globular cluster, but is like no other cluster known. 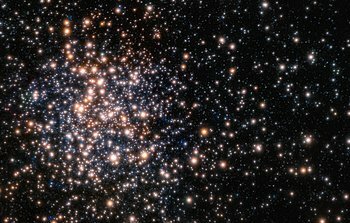 It contains stars remarkably similar to the most ancient stars in the Milky Way and bridges the gap in understanding between our galaxy’s past and its present. 2 October 2008: A record two-hour observation of Jupiter using a superior technique to remove atmospheric blur has produced the sharpest whole-planet picture ever taken from the ground. 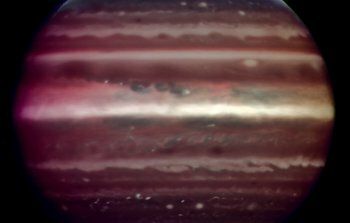 The series of 265 snapshots obtained with the Multi-Conjugate Adaptive Optics Demonstrator (MAD) prototype instrument mounted on ESO's Very Large Telescope (VLT) reveal changes in Jupiter's smog-like haze, probably in response to a planet-wide upheaval more than a year ago. 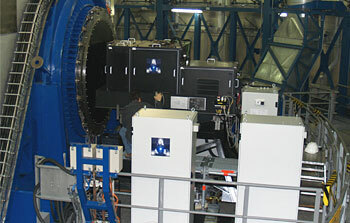 30 March 2007: On the evening of 25 March 2007, the Multi-Conjugate Adaptive Optics Demonstrator (MAD) achieved First Light at the Visitor Focus of Melipal, the third Unit Telescope of the Very Large Telescope (VLT). MAD allowed the scientists to obtain images corrected for the blurring effect of atmospheric turbulence over the full 2x2 arcminute field of view. This world premiere shows the promises of a crucial technology for Extremely Large Telescopes.